Yesterday's post wearing my new favorite sandals inspired me to put together a remix chain to finish off this week. I've been reaching for a few pieces over and over, and this is a nice way to see how I've worn the same pieces different ways. For chain link #1, we have the chunky wedge sandal. 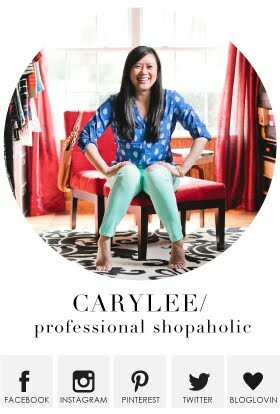 I knew I would have no issues wearing the chunky wedges with the skinniest of jeans, but I wasn't sure how I would like them with shorts and dresses. I thought they may be too visually heavy, but they actually work quite nicely! I think the cognac color helps them blend a little bit with my skin tone so that your eyes aren't automatically drawn down to my feet. I cannot express how much I love the sandals! As much as I love rompers to beat the heat, sometimes they're a little bit too bare for the cold air conditioning indoors. I hate eating in restaurants when I'm freezing! Denim jackets pair pretty easily with rompers, but sometimes I need a cover up that is a lighter weight so I'm not completely suffocating outside! 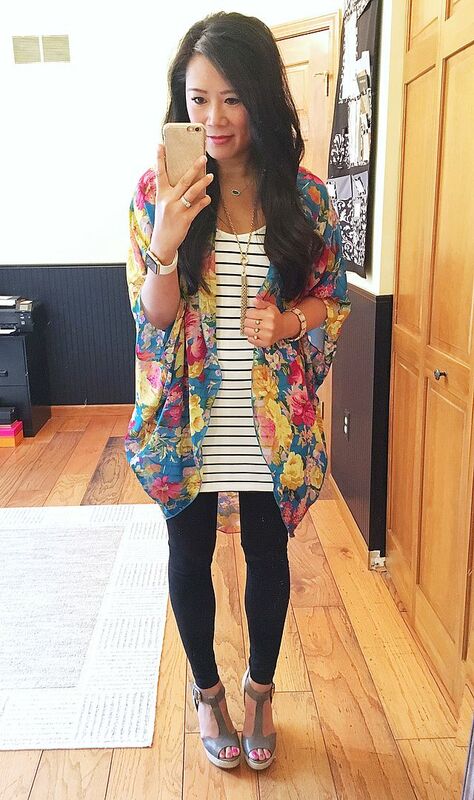 This kimono is just right! I really loved the way it paired with the romper! Most of my rompers are printed, so it was nice to have a solid colored option to be able to pair with the bold floral print. This was a very comfy outfit for a summer evening! This striped tunic is awesome and it pairs effortlessly with leggings. I cannot wait to rock it in the winter with boots and chunky sweaters! But for summertime, the kimono added a wonderful contrast to the stripes! Did I mention that the kimono is only $20? You need it. And last but not least is a remix of the striped tunic! Even though it is tunic length, its stretchy but fitted shape was perfect for tucking into a pencil skirt! 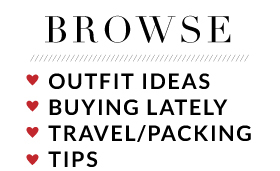 June was relatively hot and humid so I was reaching for skirts and dresses a ton! I couldn't resist more print mixing! 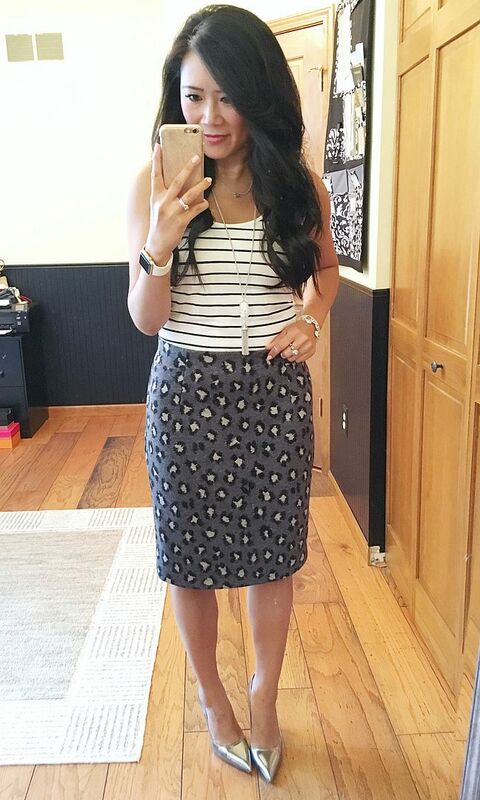 The stripes are spaced just right for pairing with most other prints! I love the way this outfit came out. I shall be tucking it into more pencil skirts in the future! 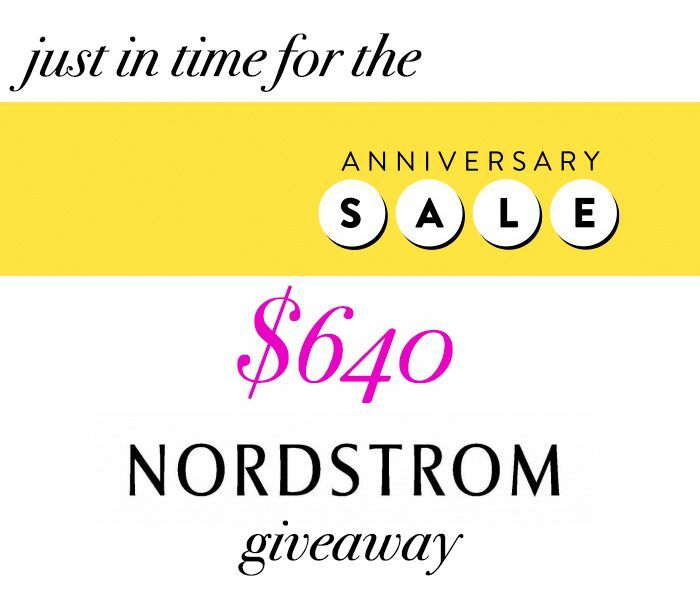 Only a little more time left to enter the Nordstrom $640 Gift Card giveaway! I've included the Rafflecopter again in this post below for your convenience! Good luck! Great looks!! I love the romper! I do love those wedges and also the Gap romper. It look so comfy and perfect for summer.